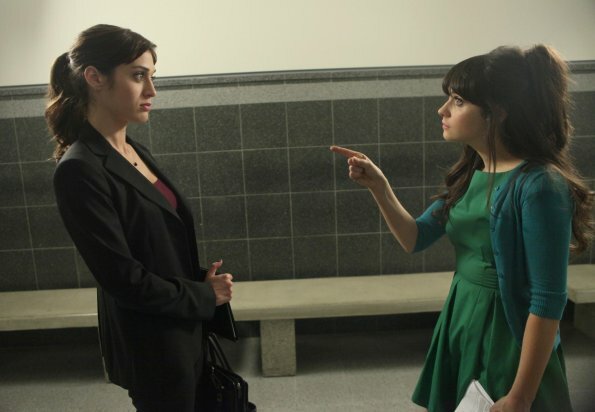 Episode 1.11 - Jess and Julia - Promotional foto. . Wallpaper and background images in the New girl club tagged: fox new girl season 1 episode 11 jess and julia promotional photos 1x11. This New girl photo contains completo, vestito di affari, ben vestito persona, vestito, vestito di pantaloni, tailleur pantalone, pantaloni tuta, tuta, and persona ben vestita.